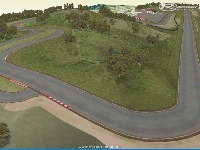 The track is 1.9 Km (1.18 miles) long, and is a very difficult and challenging circuit. Battered and worn, it still holds a dear place in the hearts of those who just want to race their daily drivers once in a while. 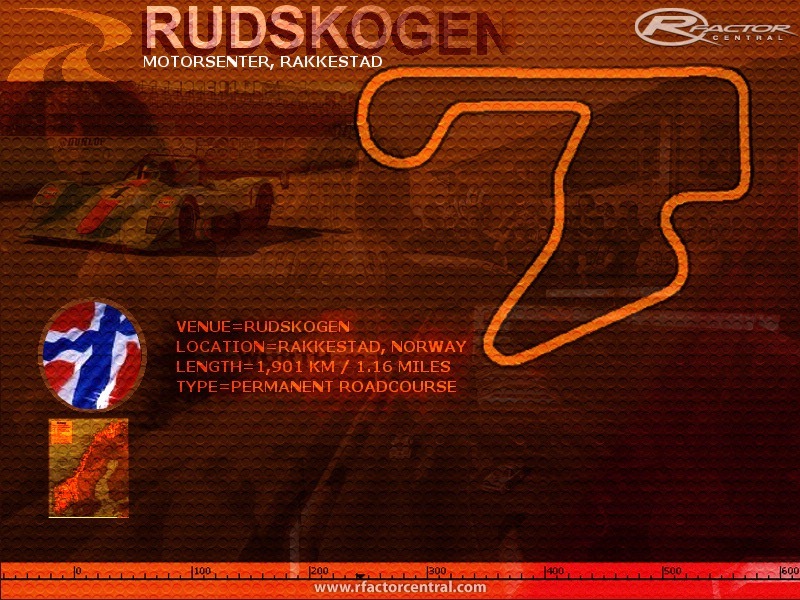 Short, and with an elevation difference of 25 meters (watch for those turns on the crests of hills), it is a favorite with drifters, and street legal racers who are just longing to let the rev limiter do it's job, like it's supposed to, and never mind the 1000€ cost of the new tires for next months event. 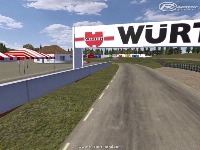 The go-cart cource is of international standards, and is on the To-Do list, as is many other projects. Thanks to Piddy for a great toy Bobs Track Builder, Ennis for advice on texturing, and Google for help on creating lights and more. 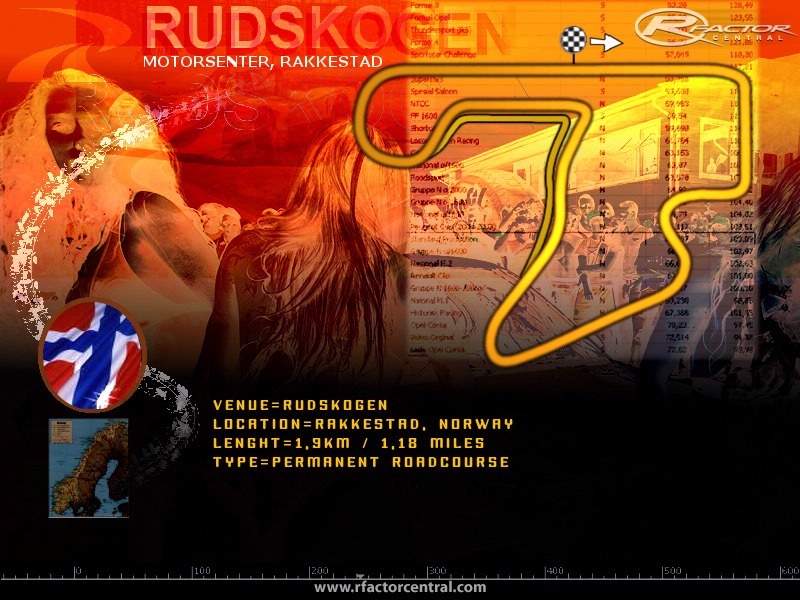 Also thanks to Knut for providing valuable feedback from someone who has frequented the circuit on a regular basis (and making the same laptimes on the rFactor track, as on the real deal). Hope you enjoy this, at it is my first effort. I know that the texturing leaves something to be desired, and I might release an update with more realistic textures. 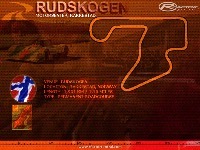 There are currently no setups for Rudskogen Motorsenter. Add a Setup. Ja hvem kan/vil lage den nye Rudskogen ? Og vaalerbanen ?? Enig med Erik, Noen som har lyst og lage den nye Rudskogen? Noen som kunne tenke seg å gjøre den nye Rudskogen? hi, the track has very poor grip. Not sure if it was coz i hade an old version of it on HD. Anyway delated it and tryed again but still very poor grip. Was driving HistoriX Cortina and it felt like ice has more grip than the track. Hi Jouni. If your problem was on the high speed chicane next to Pit lane, then i believe the problem is caused by the crest of the hill mid turn. 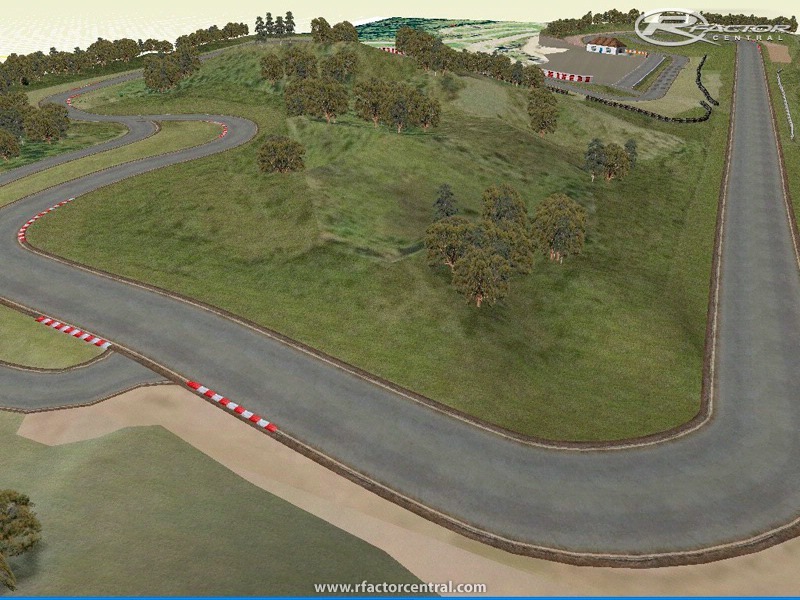 This chicane is very difficult on the real track as well, and with a high powered car you simply must practice the corner, and lay off the gas just before the crest (concentrating on lining up for the break-in to the sharp corner coming up). If you feel you're driving on ice on the whole track, I'll have to install HistoryX and try the Cortina (probably do that tonight). 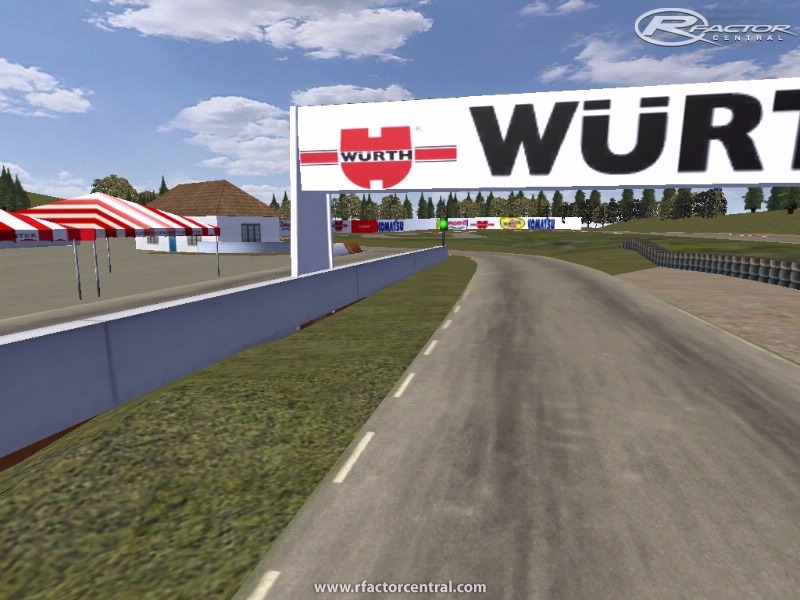 Had no problem (other than the difficulty of the track) with Porsche supercup, HSGT Holiday preview, and Italian and European Challenge by Apex modding. 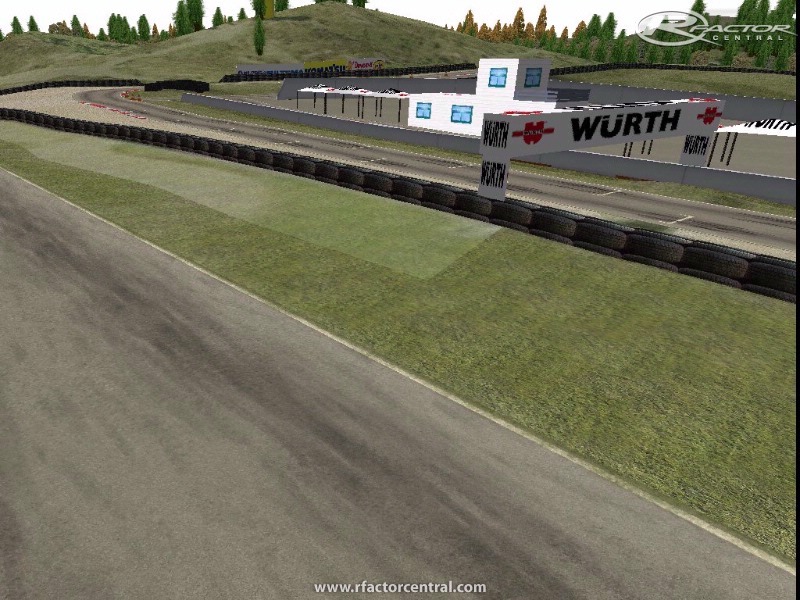 Great track really lovely and tha fps so high i usually have about 160 but here it is 300 fps i test with megane and rallycross 2.1 so far i love the rallycross mod on this nordic track i hope we see more tracks from the north quick fast smaller funnier tracks ..
Hi guys. The main download is now of the correct track with AIW, CAM and DX8, and DX7 texture that was missing. I had some problems last night when sorting the release, testing archive and when ftping up the fruits of my labour, I messed up and uploaded an unfinished beta 0.9. Please forgive the mistake, and hope you enjoy the track if you're bothered to download the new file. As to the eyecandy, I fully intend to improve myself on this subject, and hopefully I can release an update version 1.1 in due time with better textures, and better DX7 shading. Still learning a lot, and want to thank all of you guys offering advice and comments .